If you want to build a carrier as a professional driver, you need to have in depth knowledge about various transport vehicles and their technicalities. Moreover, you need to know the traffic rules and safety regulations which any commercial driver needs to follow. Theoretical knowledge is equally important for a driver as well as practical exposure. Come to Dhoot Driving School institute at Shepherdâ€™s Bush, London to learn driving from experts. Apart from offering various driving courses of advanced level, they also have refresher training courses. As a result, Dhoot Driving School is extremely popular among new drivers as well as those who have been driving for decades. Dhoot Driving School owes its success to their expert trainers to a great extent. 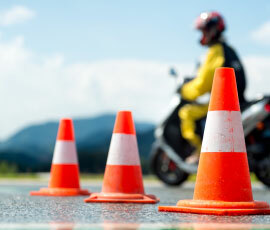 Every instructor possesses excellent knowledge about driving and approval of DSA. Not only that, they are proficient in several languages keeping the cosmopolitan clientele in mind. So if you have any problem in following instructions in English, discuss it with Dhoot Driving School. You will find an instructor who can train you in your preferred language. Utilize this opportunity and learn fully from the experience and expertise of your trainer. Understand where you stand as a professional driver. Choose an appropriate course according to your experience and talent. For example, LGV (HGV) Training course is ideal for anyone willing to join a logistic company as a driver carrying huge trucks and trailers full of goods across states. Depending on the size of the truck, there are few categories in this course. C-up to 32 tones covers goods carrying vehicles with carrying capacity up to 32 tones. If you want to drive smaller trucks, C+E Truck & Trailer is a good option for you. In case of any confusion, discuss with the instructors. They would guide you in selecting an appropriate course for you. PCV Training is very essential for anyone trying to get hired by travelling companies. If your company uses D1 Minibus & Trailer or D1 Minibus to carry few travelers and their luggage, enroll into courses specialized in these vehicles. On the other hand, if you are interested in driving double deck coaches take D Manual Coach or D Automatic Bus driving lessons. These courses are designed in such a way that you would be expert in all technical aspects of a particular vehicle. No wonder that you would be the first preference of any transport company to drive their passengers in and out of any town. Now anyone driving a commercial vehicle in Europe needs to hold the Certification of Professional Competence. So do not forget to ask about Driver CPC Training when you come to the Shepherdâ€™s Bush centre of Dhoot Driving School. To keep this certification you need to attend periodic training of several hours every few years. So being associated with a reputed driving institute will come really handy. This certification has several driver CPC modules to determine the extent of theoretical as well as practical knowledge of anyone. Dhoot Driving School will make sure that you clear all important steps like CPC case study and CPC theory test to get this certification. If you cannot concentrate fully in the lessons worrying about failing the driving test, ask about pass Protection. This is a wonderful choice offered by Dhoot Driving School Shepherdâ€™s Bush, London unit to guarantee your success. In case you fail to achieve that, the institute will arrange for the retest and also pay the required fees. So if you are going to attend training for driving passenger carrying vehicles, take the PCV Pass Protection, too. Your job will not finish just after getting the required qualifications. You need to have a commercial license to be hired by any agency. This application process is a bit complex and involves lot of paperwork. 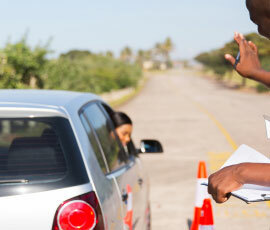 Dhoot Driving School at Shepherdâ€™s Bush, London will guide you in the application process also. Ask for their help in filling up the various forms required for submitting an application. If any doubt arises, get it clarified by talking with the instructors. Dhoot Driving School will sit patiently with you and complete your application and send that to the appropriate authorities for getting you a license. Do not wait any more to be a professional driver. Call up Dhoot Driving School and fix an appointment to discuss which course will be most beneficial for you. Whether you are new into driving or a veteran in the industry, this institute will be your perfect choice. Thanks to their modern training vehicles with dual control, multilingual instructors and exceptionally designed training modules you would clear the tests with confidence. Dhoot Driving School has helped numerous professionals in being established as drivers of commercial vehicles. Visit Shepherdâ€™s Bush, London centre of Dhoot Driving School to take your carrier to new heights.